Listen to the Giallo legend's latest work. Italian composer Fabio Frizzi is best known for his classic soundtrack collaborations with director Lucio Fulci. Recently he hooked up with Swedish instrumentalists Anima Morte to release a single - Inertia of the Risen - which has a classic '70s Giallo sound. "I believe that music is the strongest tool for sharing experiences and emotions, to break down boundaries and prejudices in our wonderful and strange world. Making music together with others, in my opinion, is an incredible experience. The members of the group Anima Morte are good musicians, nice guys that the network has helped me to meet. And their proposal to jointly write a song I met with enthusiasm. Everyone has put his own, I got the support, for the recording of the "Roman" tracks, of some of my most trusted musicians, members of the Frizzi 2 Fulci band. In short, my old and late friend, Lucio Fulci, has indirectly begun to create this collaboration. And this friendship." “The very idea of Anima Morte would probably not been conceived at all, had it not been for the legendary movies of director Lucio Fulci and the masterful and iconic scores of Fabio Frizzi. The classic trilogy of Zombie, City of the Living and The Beyond was a great influence on our younger selves and served as an entry point for us when we were trying to recreate what we felt was the lost atmosphere from an era of horror movies we loved. Fabio Frizzi did not only create ominous atmospheres but also melancholic and beautiful themes that stick to your mind long after the movie finished. An idea formed when we were writing songs for our third album ‘Upon Darkened Stains’ that we should reach out to Mr. Frizzi to see if he would like to be a guest on the album. After some discussions we went instead with the idea to write a new and unique song. It was a great experience composing this work together with Fabio and it took several recording sessions in different parts of Europe before it was finally finished and mixed in Rome last year. Now we can finally uncover Inertia Of The Risen. A title inspired by our favourite undead creatures! We want to thank Maestro Frizzi, the F2F guys, Daniele De Gemini and everyone involved in this journey for making it happen. For us it is a dream come true and in a way a tribute to the memory of the man bringing us together through his movies, Lucio Fulci." You can order the single here, and listen to it below. 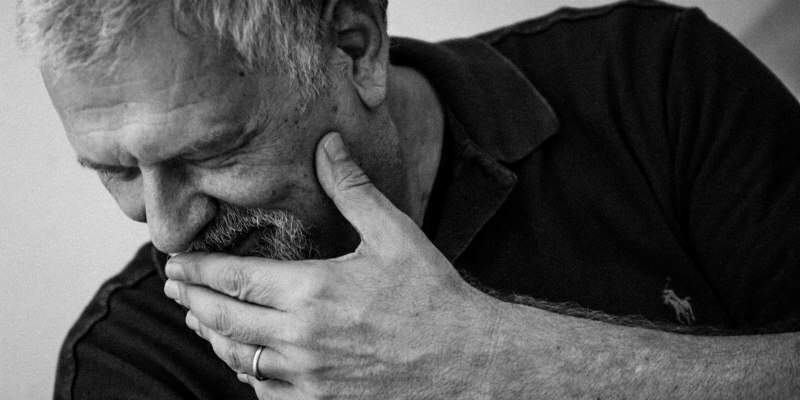 Read our interview with Fabio Frizzi and check out our five favourite Frizzi scores.